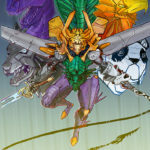 If you’re looking for digital stuff only (game PDFs, mostly), then you’ve come to the right place! If you’re looking for physical products, I direct you instead to my Square Storefront, where I sell all of the physical products currently in my stock. 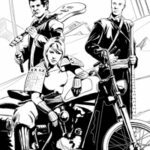 You can also purchase physical and digital products at DriveThruRPG. Hooray for choices. Want to back the game and get cool stuff, but you missed the original Kickstarter funding run for Gattaibushido? Here are some post-KS options for you! A dueling-focused narrative-action tabletop role-playing game about brotherhood, sacrifice, and death. 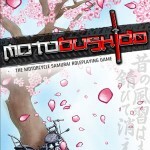 The Long Tour: A 15-page expansion Set for Motobushido, adding new Roles, Signs, Styles, and Bikes (originally unlocked via the successful Kickstarter campaign). 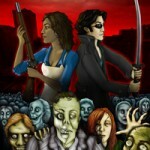 Cannibal Contagion: A "Comedic Survival Horror" Roleplaying Game inspired by Zombieland, Resident Evil, Død snø, and other irreverent horror romps.